Last edited by Jay-gon Jinn; 04-06-2012 at 06:32 PM. Great tutorial, thank you. One question: I'm transplanting this board into a custom saber, and am not sure how to wire the power and speaker. I bought it free-standing, so I can't reverse engineer it from the original hilt. There are three contacts, Vss, Vdd, and SP-. How should these draw from the battery pack, and how does the speaker fit into this? Sorry for the basic question, but I have a talent for frying electronics when I experiment too much. Sorry for the late reply, but the board uses a shared positive in the battery pack for the speaker. You will need to add a separate positive lead to the board for the speaker for use in a custom saber, or use a second lead from your positive battery terminal on the battery pack or recharge port. 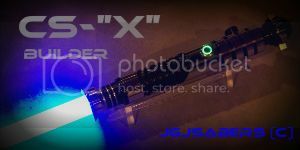 Does the blade plug that you get with the lightsaber still function after the conversion? If you totally hosed up your copper button plate is there a replacement part that can be ordered? Not sure about copper but there is a gold button replacement part at ultrasabers. I understand that filmwise, Luke's ANH saber was Anakin's ROTS saber that Obi-wan hung onto and maintained over the years... with that said: will this kit work for Luke's ANH with the removable blade? Rest in peace my classy friend. No, there are no kits in the store that will directly fit the Luke ANH FX. It is a totally different hilt from the others even thigh they may look similar and are supposed to all be the same lightsaber.